The wine industry needs crisis assistance! Many people planing on picking up their favorite bottle of wine on their way home this evening may be second-guessing their brand choice. One of the top-trending stories on Facebook this Friday morning is news about a proposed class action lawsuit, filed yesterday in California, claiming that some of the US’s most popular wine brands contain high levels of arsenic — up to four and five times higher than the maximum amount the EPA allows in drinking water. 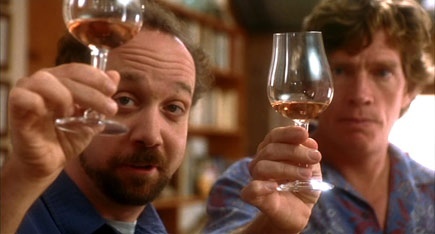 While the lawsuit names 24 winemakers in total, some of the top offending brands included Trader Joe’s Two-Buck Chuck White Zinfandel, which came in at three times the EPA limit for arsenic in drinking water; a bottle of Ménage à Trois Moscato had four times the limit; and a Franzia White Grenache had five times the limit. “We’ve done testing with two separate labs,” and Hicks’ findings “absolutely” stand up. Since the federal government doesn’t regulate wine in the way it regulates water, the suit focuses on a piece of California legislation that requires businesses to warn consumers if their products contain “a chemical known to cause cancer,” which arsenic — in the amounts found in the wine — can do over time. We’ll be curious to see how this all plays out — both on the legal front and on the ever-delicate brand image stage. “Innocent until proven guilty” may be true in state court, but the court of public opinion is often less willing to assume the best — especially when it’s suggested that rats may not be the only creatures imbibing arsenic with their cheese.